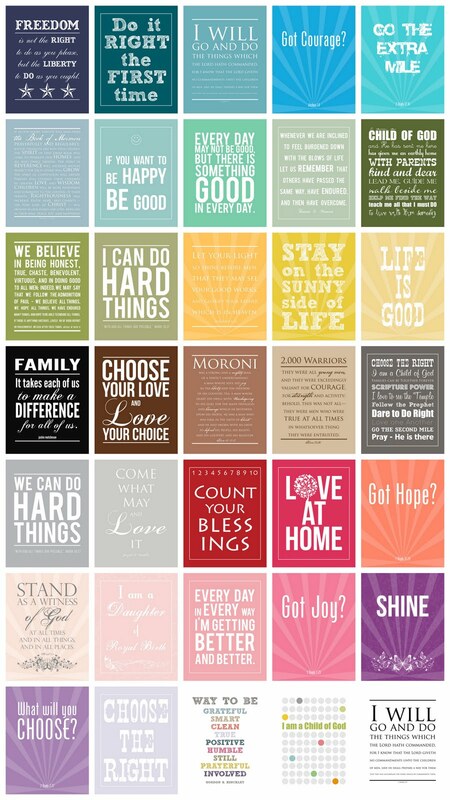 I'm really liking these posters from Simply Fresh Designs' Digital Subway Art Shop. Too bad the artist is currently on maternity leave to care for her little girl, but I do hope she returns soon. Motivational word art in bold colors would be fun to print off and share with friends, don't you think? I know it's really common now, but I really like that Keep Calm & Move On poster. I want to get one for my house. Some of these have some interesting quotes. The mormon ones are intriguing since they are a little different from the usual "mainstream" quotes.